« Apple Warns Users against Jailbreaking iOS Devices: True or False? The official (sic!) 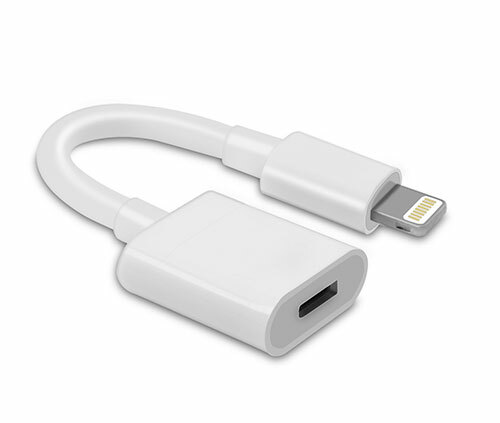 Apple Lightning to 3.5mm jack adapter ($9) does not work to defeat USB restrictions; even if works, it does not allow is pass-through charging (and without it, the iPhone may drain its battery, especially if you transport it in a Faraday bag). We are now waiting for delivery of several non-original (and so much cheaper; the c cheapest one we have found is $2.69 only) adapters from AliExpress and will try with them, too — almost sure that they will work as well. That might me a good idea to develop and manufacture the special Lightning accessory for exactly that purpose, and no extras at all (just power delivery). 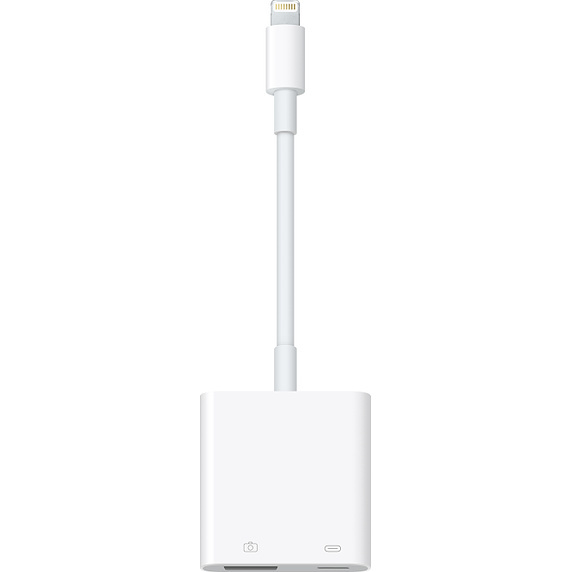 Connect the iPhone to a compatible Lightning accessory (such as the official Lightning to USB 3 Camera Adapter). If you get a message that the device should be unlocked in order to use the accessory (when you connect it), then USB restricted mode has been activated already, and there is nothing you can do about that, sorry. What are the chances that the device is seized within in hour after last unlock? Quite high. We were not able to find recent stats, but even two years ago an average user unlocked their iPhone at least 80 times a day. So why are we able to fool USB Restricted Mode as easy? Is this an oversight that somehow slipped through the testing of all the five iOS 11.4.1 betas? Will Apple patch it in iOS 11.4.2 or iOS 12? While we cannot know for sure, the issue appears to lie in Apple’s Lightning communication protocol. If the iPhone talks to a computer, the two devices must establish trust by exchanging unique cryptographic keys. This, however, does not apply to the majority of existing Lightning accessories. Existing accessories share public keys for trust; many of them are simply not designed to exchange cryptographic keys the way computers do. As a result, before USB Restricted Mode kicks in, an iPhone can check if the accessory is MFi certified – but that is pretty much it. It appears that there are no key pairs to be exchanged, and this is probably by design. Can Apple change it in future versions of iOS? To us, it seems highly unlikely simply because of the humongous amount of MFi devices that aren’t designed to support such a change. Theoretically, iOS could remember which devices were connected to the iPhone, and only allow those accessories to establish connectivity without requiring an unlock – but that’s about all we can think of. The whole issue of USB restrictions was met with lots of controversy. It is widely speculated that this new feature (as well as several security updates disabling Touch ID/Face ID in certain circumstances) is aimed directly at law enforcement, particularly those using GrayKey to break device passcodes. Our opinion remains unchanged: if there is an unpatched vulnerability, it will be exploited by the bad guys sooner or later. USB Restricted Mode, while not addressing the root cause of the problem, is a perfectly viable band aid that ‘fixes’ the issue for most without inconveniencing the average user all that much. Those who oppose this Apple’s move can simply disable the feature on their own phones, or do a radical step and to Android. We’ve seen rumors about Grayshift being able to defeat protection provided by USB Restricted Mode. At this point, these are nothing more than just rumors; the company’s official policy is never issuing comments about pre-release software. With iOS 11.4.1 just released, we’ll have to wait to see if the new security measure can be defeated. Either way, since iOS 11.4, the speed of GrayKey (and probably its competitors) is limited to slow recovery rates of one passcode in 10 minutes. While this allows breaking 4-digit passcodes in reasonable time (about two months worst-case scenario), 6-digit passcodes already make little sense to attack unless one has a custom dictionary, and 6 digits is the default length for the passcode suggested by iOS. The ability to postpone USB Restricted Mode by connecting the iPhone to an untrusted USB accessory is probably nothing more than an oversight. We don’t know if this behavior is here to stay, or if Apple will change it in near future. According to our tests, both iOS 11.4.1 and iOS 12 beta 2 exhibit similar behavior; however, this can change in subsequent versions of iOS. This entry was posted on Monday, July 9th, 2018 at 11:29 pm	and is filed under Did you know that...?, Hardware, Security. You can follow any responses to this entry through the RSS 2.0 feed. Both comments and pings are currently closed.